Attention Disney Tsum Tsum fans! Starting 17th April, you can collect the ever-popular Disney Tsum Tsum line at 7-Eleven, Singapore’s favourite convenience store. The whimsical Disney Tsum Tsum is the range of Japanese collectible stuffed toys based upon Disney-owned characters. It has quite a following around the world because of its unique mix of charming design, Japanese aesthetic and collectability. 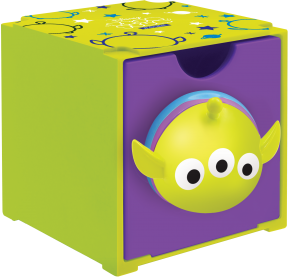 The name is derived from the Japanese verb tsumu which means “to stack” because the rectangle-shaped toys are designed to stack on top of each other. The more, the merrier! Six classic Disney characters—Mickey Mouse, Donald Duck, Winnie the Pooh, Stitch, Toy Story’s Lotso and Alien—have been transformed into cute caddies and, much like their stuffed toy and mobile phone game counterparts, can be stacked in any combination to form the ultimate cute gang of 12. 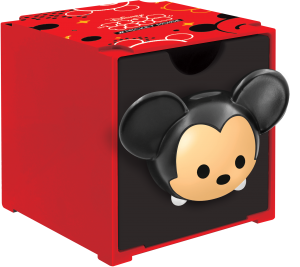 Each drawer in the collectible set features the head or bottom of a Tsum Tsum and a three- dimensional Tsum Tsum knob. These adorable drawers can also be transformed into fully fledged Tsum Tsums. By removing the knob with a simple turn of the hand, the head and bottom of Mickey or Donald become a whole. To start your Disney Tsum Tsum drawer collection, simply spend $4 at any 7-Eleven store to get an original sticker stamp. 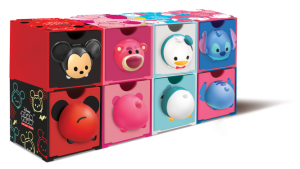 Collect six stamps and add $5.90 to redeem a blind pack of Tsum Tsum drawer or collect 20 stamps to get the drawer for free!